A neat, tidy and well-groomed beard can deliver the rugged masculine look that you desire. Now-a-day it has become a bold fashion statement for men. Therefore, electric beard trimmer has become a necessity rather than luxury to maintain a well-groomed facial hair. If you go to the market, you would find a wide range of beard trimmers but only the best among them can deliver the precision and durability you desire. Wahl has been a pioneer in the electric beard trimmer industry and has been delivering top of the class professional beard trimmers for decades. The best Wahl beard trimmer is suitable for professionals as well as for regular home users. Their beard trimmers are instinctive and can deliver a wide range of settings for all-purpose hair trimming as well as precise touch-ups. Why the Wahl Beard Trimmer is the Best Option? The Wahl Stainless Lithium Ion Plus Rechargeable Beard Trimmer is one of the best from their professional product line. It has the option of operating cordless as a result of Lithium Ion+ technology and can run up to four hours with a single charge of one hour. It can also operate while plugged-in and rapid charging feature allows quick charge if you are in a hurry. This trimmer is fitted with ultra-durable self-sharpening stainless steel blade which requires less frequent lubrication for flawless performance each time. It comes with a set of four attachable blades to serve various purposes of trimming. The wide T-blade delivers flawless beard and mustache trimming, haircut, and body hair grooming; two detailing trimmers for precision touch-ups and a rotary trimmer for nose and ear trimming. It has the option of dual voltage charging which is compatible for both 110V and 220V. This makes it travel friendly. It comes with 12 attachable guide combs ranging from 1/16” to 1”, so you can trim your facial hair at any length you desire. 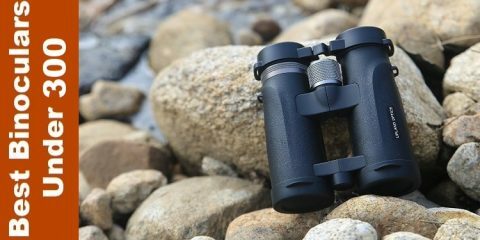 It is 6.2 inches in length which fits very comfortably in your hand and weighs only 12.8 ounces. If you are looking for an all-purpose beard trimmer, then The Wahl Stainless Lithium Ion Plus Rechargeable Beard Trimmer can be one of the best options for you. It can deliver a wide range of beard styling options and flawless precision at the same time. It is suitable for international use; so you don’t have to look for an alternate option to meet your grooming needs. This trimmer is suggested by many professional and individual users for its flawless precision and ever-lasting durability. The cordless option is an added benefit and can be very useful if you do not have a charging port nearby. The remarkable runtime of four hours can deliver month’s trimming without charging. 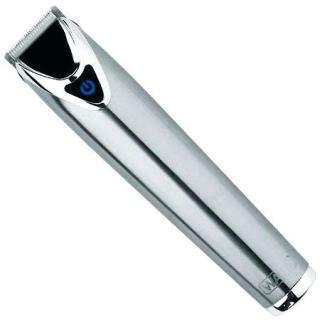 This trimmer is not suitable for wet shaving and can be damaged in wet condition. The plain steel exterior makes it a little slippery on wet, sweaty or greasy hands. 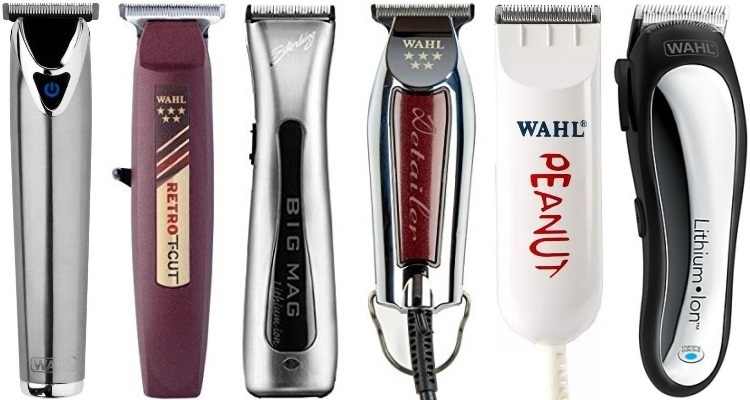 Wahl Professional Peanut Classic Clipper/Trimmer #8685 is a commercial grade beard trimmer from their product line which is recommended by many professionals. This comparatively smaller sized beard trimmer is particularly designed keeping convenience and comfort in mind while delivering flawless precision. This trimmer is only 4 inches long which fits perfectly in your hand and weighs only 4 ounces which allows you nonstop performance without getting your hands tired. This clipper/trimmer is packed with all the essential accessories required for a smooth and flawless cut or trim. This trimmer is fitted with detachable blade for easy cleaning and maintenance. The blades are made of ultra-durable stainless steel which provides ultimate precision. It comes with four attachable guide combs for different lengths between 1/8 inch to 1/2 inch. The package also include lubrication for the blade, cleaning brush, red blade guard and instruction manual. It has a powerful and long lasting rotary motor which operates at 120 volts/60 hertz. It is fitted with 7 feet long chemical proof industrial grade wire which is long enough to provide you flexibility to roam around during a haircut or trim. 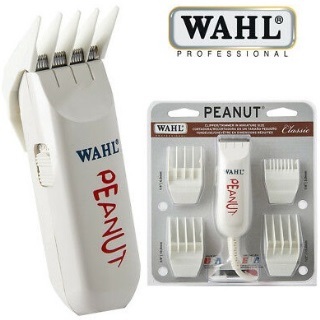 Wahl Professional Peanut Classic Clipper/Trimmer is convenient and comfortable beard trimmer that can be used both professionally & personally. It’s a smaller size and lightweight providing better maneuverability and flexibility which is required for a satisfying trimming experience. Not only facial hair trimming you can also perform flawless haircut and body hair trimming with this trimmer. This trimmer is highly recommended by experts due to its sleek design, convenient size and lightweight feature. Its strong rotary motor and stainless steel blade delivers smooth and precise haircut every time. This trimmer is perfectly suitable for professionals who need a small and lightweight trimmer to perform haircut in long shifts without getting their hands tired. This is a fixed cord trimmer but with the option of going cordless. Its exterior is made of hard plastic which can crack if dropped on a hard surface frequently. Frequent lubrication is required. 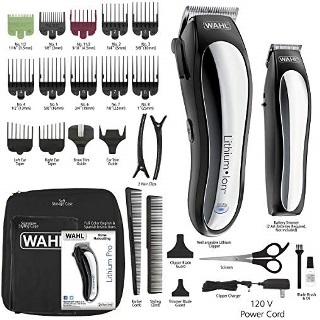 Wahl Lithium Ion Cordless Rechargeable Hair Clipper and Trimmer is another commercial grade beard trimmer of the Wahl’s product line designed for professionals. It is fitted with the best quality self-sharpening steel blade that delivers up to 40% faster and more precise haircut compared to standard Wahl precision blade. An adjustable Taper Lever makes it easy for blending and fading of the facial hair. You can enjoy the freedom of operating cordless with this trimmer as a result of lithium ion battery fitted within the trimmer. It delivers up to 2 hours of runtime and can hold the charge for a year. It also can be operated while plugged-in and has a 10 minutes’ quick charge feature if you require instant power. A strong electromagnetic motor is fitted inside this trimmer which operates at 120V/60 Hz. A complete hair grooming kit is included inside the box. It comes with 10 guide combs of various lengths to deliver haircut in different styles and sizes. It also contains blade oil, blade guard, cleaning brush and operating instructions book. Also a detailing trimmer comes with the box which runs with 2 AA batteries. This beard trimmer is a perfect match as a commercial grade professional facial hair trimmer that can perform multiple tasks flawlessly. The powerful motor and self-sharpening blade of this beard trimmer will cut through even the thickest hair efficiently and effortlessly with precision trimming around the edges. It is a highly recommended beard trimmer by experts & professionals for heavy duty use. This beard trimmer has a sleek design and ergonomic design with a texturized grip which makes it easy and comfortable to maneuver. Also the convenient size and lightweight body will keep you going all day long without getting your hand sore. From an expert point of view, it can be said that this beard trimmer can be used for heavy duty use as well as regular use. This trimmer is designed for dry shave only and not suitable for wet shave. Although, self-sharpening blade requires less frequent oiling but it should be oiled every once in a while for consistent performance. The Wahl Detailer Beard Trimmer is another top notch commercial grade beard trimmer from Wahl Professionals product line. The 5-Star Detailer was engineered with the intention of heavy-duty professional usage for delivering cutting edge performance that experts demand. For delivering close cut and utter precision, it has been fitted with an adjustable extra wide self-sharpening steel t-blade. It has a powerful rotary motor and features a #2215 blade which cuts through even the thickest facial hairs and also delivers precision for tricky edging. 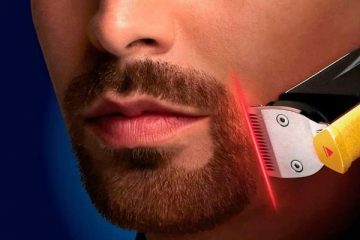 You can get all the necessary equipment along with this trimmer for facial hair cutting. You will find three attachable guide combs which are 1/16”, 1/8” and 1/4” for cutting the facial hair in various sizes. The box also includes blade lubricant, cleaning brush, red blade guard and instruction manual. The Wahl Detailer has an ergonomic and stylish design. It fits right into the palm of your hand as it is only 5 inches long and weighs only 6.9 ounces. Therefore, it does not feel too heavy on your hand and does not get you tired even if you use it all day long. It is equipped with an 8 feet long industrial grade chemical resistant cord to allow you to roam around freely. The Wahl Detailer is mainly designed for professionals to deliver heavy-duty performance. Although, it can be used by individuals for regular grooming. 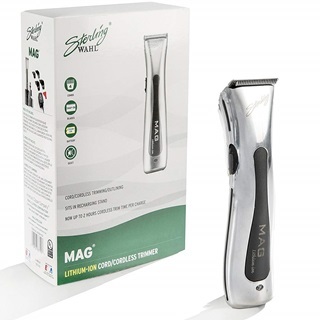 It is a stylish, efficient and ultra-strong trimmer with precision and function. It can be the best option for beard and mustache outlining and edging. As it is fitted with a strong rotary motor which operates self-sharpening steel blade; you can get best beard cutting experience from it. Experts recommend this trimmer for professional use as it can deliver ultimate precision and durability. It is a multi-tasking facial hair trimmer as you can also perform haircuts and trim body hair with it. As an expert it can be said that, it is one of the best beard trimmer from Wahl Professional product line. It is a fixed cord bread trimmer with no cordless operating ability. It is not suitable for wet shaving and frequent blade lubrication is required for best performance. 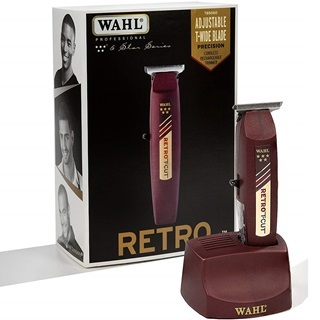 The Wahl 5-Star Series Cordless Retro T-Cut Trimmer is another top quality commercial grade beard trimmer that has been designed for professional hair stylists and barbers. This trimmer efficiently delivers ultra-sharp performance required by experts. It has been engineered to deliver super-close hair trimming to create neat and tidy outlines. It can also be used for flawless fading and blending. With this trimmer you will get the freedom of going cordless as it is equipped with a Ni-MH battery. This delivers 60 minutes of runtime without compromising the performance. The 5-Star Cordless Retro T-Cut Trimmer has a powerful rotary motor fitted inside which operates a #2215 adjustable and wide T- blade. The trimmer comes with three guide combs for various lengths of hair cutting ranging between 1/16” to 1/4″ inch. The package also contains automatic charging stand, blade lubricant, cleaning brush and red blade guard. The 5 Star Cordless Retro T-Cut Trimmer measures 6 inches in length which is easy to grip and fit perfectly inside the hand. Also the lightweight of 5 ounces doesn’t feel too heavy on your hand. Therefore, you can perform hair trimming all day long without getting any soreness or tiredness. The 5-Star Series Cordless Retro T-Cut Trimmer is another bright example of cutting edge professional beard trimming technology from Wahl. It is recommended for heavy-duty professional use by experts globally. You can get better accuracy and efficiency with its extended T-blade which delivers a wider cutting area. It is the right choice for you to deliver ultra-close cutting for creating a crisp and clean facial hair outline. This trimmer is known for its precision, delivery and durability among professional hair stylists and barbers. Although, it is perfectly suitable for regular individual use. The Ni-MH battery will allow to operate cordless for up to an hour and believe me it can be a great advantage while you are travelling or do not have a port nearby to plug-in. 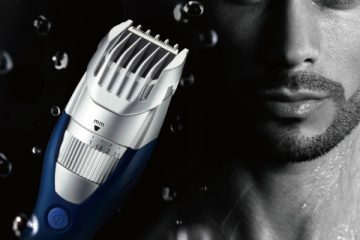 This trimmer is not designed to perform wet shaving and is not water resistant. It comes with less number of accessories in the kit compared to other trimmers from Wahl. Wahl Professional Sterling Mag Trimmer #8779 is an exceptional commercial grade trimmer that delivers ultimate precision, durability and has an exquisite good look. Its silver exterior makes it stunningly beautiful and rubberized texture provides better grip for a highly precise and accurate beard outline. It has unique Snap-On blades which are powered by a strong rotary motor to provide faster haircuts with precision. There is a lithium ion battery fitted inside this trimmer which provides the liberty of cordless power. It delivers up to 2 hours’ run time with a single charge. It comes with a smart and automatic recharging stand. Just place the trimmer on the stand after use and it will start recharging & stop automatically when it is fully charged. This trimmer comes with all the accessories for a great beard trimming experience. You will get four trimming guide combs for cutting hair in different lengths ranging between 1/8” to 1/2”, blade oil and red blade guard with a cleaning brush and instruction manual. Due to its small size of just 5.5 inch and lightweight of 4 ounces, it is easy to grip and fits perfectly inside your hand & allows you to perform haircuts in longer shifts without tiring. Wahl Professional Sterling Mag Trimmer #8779 is a unique blend of beauty and performance. It is particularly designed for professionals who seek precision, durability and at the same time understand value of good aesthetical design. The Snap-On blades of this trimmer is a unique feature which you may not find in other standard beard trimmers. Therefore, experts recommend this beard trimmer for professionals to get a clean and close cut every time. This trimmer has the option of operating cordless up to 2 hours as a result of lithium ion battery which can be a big advantage. Also the convenient size and lightweight feature can be an added benefit for maneuverability to get into the tricky parts. It does not have the option of dual voltage therefore it can be a little difficult for international use. Although, a single charge can provide months of use. The Wahl 9686 Power Pro Corded Trimmer is an all-in-one beard trimmer which can be used for all types of grooming. It delivers ultimate precision and accuracy with its high torque rotary motor and precision. The self-sharpening stainless steel T-blade effortlessly cuts through even the thickest facial hairs regardless of size and density. Also the detailing trimmer delivers crisp and clean outlines even in hard-to-reach areas of your face. 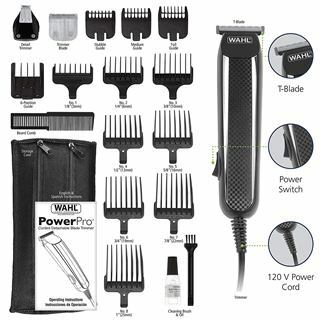 The Wahl power pro corded hair trimmer comes with three attachable blades to serve all kinds of grooming requirements. The stainless T-blade for hair cutting, the trimming blade for precise trimming and the detailer for detailed styling and touch ups. The box comes with an all-purpose grooming kit which contains 17 guide combs for different blades. This includes three facial hair guide combs for creating perfect stubble both medium and full length, six position guides and eight long hair guide combs for various lengths between 1/8” to 1 inch. It also contains a beard comb, cleaning brush, lubricant, storage pouch and manual. The Wahl 9686 Power Pro Corded Trimmer is a highly recommended beard trimmer by experts and can be the perfect answer to an all-purpose grooming solution. It provides better precision and durability at the same time with its ultra-sharp stainless steel blade and powerful rotary motor. Also the Wahl high-carbon precision ground blades will deliver unmatched beard trimming results. It has more features compared to other beard trimmers in the market for providing a better grooming experience. The three attachable blades will provide unparalleled cutting ability with detailed precision. Even though it is a corded beard trimmer, the extra-long industrial grade chemical resistant cord will give you more than enough flexibility to roam around comfortably. As it is a fixed cord beard trimmer, you would not get the freedom of operating cordless. But the extra-long cord and super-fast cutting ability makes up for that. A beard trimmer has become a necessity for keeping beard neat, tidy and well-groomed, yet you cannot buy on a regular basis as they can be a bit expensive. Therefore, you should choose from the best available options in the market and stick to that for a while. Wahl has been the best brand for beard trimmers compared to other brands available in the market. Wahl has been in the market for decades and their trimmers have been used by the professional hair stylists and barbers since 1919. Their trimmers from commercial grade product lines has ever-lasting durability and delivers maximum precision compared to standard beard trimmers available in the market. Therefore, most of the grooming experts and professionals recommend Wahl Beard Trimmers for both professional and personal use. Wahl has always been able to keep up with the contemporary demands of the grooming industry. Wahl has pioneered the electric grooming tools development and has been a leader for showing innovation and technological advancement in the industry by introducing better design, motor and innovative blade material and quality. Therefore, Wahl is considered to be the number one brand in electric beard trimmers. Wahl has always been sincerely focused on delivering better durability to their beard trimmers. Their technology adaptation has been kept aligned with the modern day needs. They have introduced better and unique blade material, longer lasting motor and best quality battery to make the beard trimmer more durable. They even added dual voltage operating ability and chemical resistant industrial grade cords to protect their products from normal wear & tear and from other damages to provide better durability. 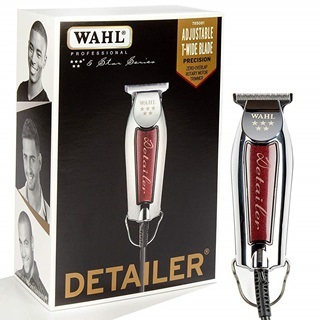 Most of trimmers from Wahl are fitted with the best quality blades available in the market. Wahl introduced self-sharpening blades which stays sharp without any added effort and delivers precise cuts every time. Also the materials used for these blades are stainless steel which lasts longer and stays sharp for a longer period of time. Even some of the unique blades from Wahl beard trimmers are carbon and titanium coated for delivering extra-sharp precision and durability. All the beard trimmers from Wahl is fitted with powerful rotary motors which operates the blades to deliver fast, clean and effortless cutting. These motor are air cooled so the trimmers do not get heated. Also Wahl uses electromagnetic motors which delivers more torque compared to standard motors. These motors are durable and deliver more power to the blades for a precise and flawless trimming experience. All the beard trimmers from Wahl are designed by keeping convenience and comfort in mind. They are comfortable to handle and due to their small sizes, they fit right into your hands easily. The trimmers from Wahl are lightweight therefore they do not feel too heavy and you can perform beard grooming one after another all day long without getting your hands tired. With all the functionality achieved, all the Wahl beard trimmers have exquisite & sleek design. Beard is a symbol of masculinity. A neat and well-groomed beard will give you confidence as well as that rugged good look that is desired by all! On the other hand, a messy and untidy beard will make you look like a caveman. So it is important to maintain a well-groomed beard and to do so you are going to need the best beard trimmer. You should know the facts and details about the beard trimmer of your requirement as well as the best beard trimmer brand available in the market before you buy one. Wahl has been known for delivering the best quality beard trimmer and widely recommended by the hair styling professionals and experts.